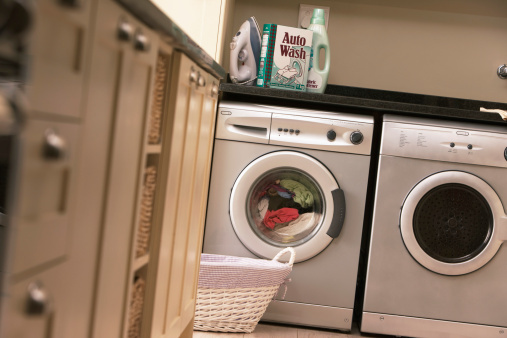 Washing machines need to be hooked up to drains in order to change out the wash water between loads. 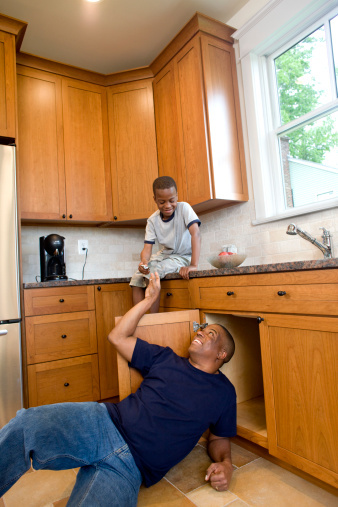 The size and setup of washing machine drains is regulated by the Universal Plumbing Code. This code was setup to harmonize plumbing installations and ensure that the plumbing requirements around the United States met certain universal requirements. During operation, a washing machine mixes the water and soap in the wash tub. In top-loading models, an agitator then spins the clothes around in the wash to help expose all the surfaces to the water and soap mixture. In a front-loading machine, the wash tub itself spins and provides the agitation. After the wash cycle, the dirty water inside is pumped out into the sewer system through the washing machine drain hose and into the washing machine drain. The standard for new washing machine drain sizes, according to the Universal Plumbing Code, is now 2 inches. The pipe should be between 18 and 30 inches high from the floor, while the P-trap should be between 6 and 18 inches from the floor. These standpipes connect into the home sewage system. They should also be vented according to the Universal Plumbing Code or the local codes in your area. The drain hose for most washing machines is usually between 1 and 1 1/2 inches wide. A gooseneck at the end slips into the top of the drain standpipe. The drain hose is secured inside the drain pipe by means of a hose clamp, tie or some other securing fixture. The hose should not be looped or kinked behind the machine, or it could cause the washer to back up and possibly overflow. 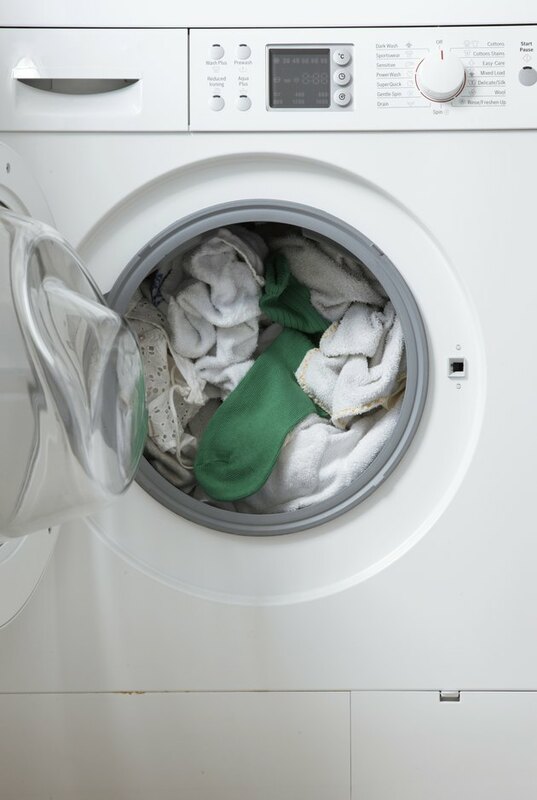 Occasionally, washing machine drains can back up with lint or other debris picked up from the washer. To clear a drain, unplug the washer and move it away from the drainpipe. Unclip the drain hose and set it aside. Insert a plumber's snake into the drain opening and push it through the standpipe until you feel it meet resistance. Twist the snake back and forth until it breaks through the clog. Do I Need a P-Trap on My Garbage Disposal Drain? How Do I Remove Something Stuck in a Drain Pipe?